The U.S. Supreme Court has lifted a stay that blocked the execution of an Alabama man who sought to die by nitrogen hypoxia. The action prompted a dissent by the court’s liberals, who criticized the “middle of the night” decision that didn’t allow for discussion Friday morning. The dissent, written by Justice Stephen G. Breyer, was released Friday at 2:51 a.m. ET, CNN reports. “Should anyone doubt that death sentences in the United States can be carried out in an arbitrary way, let that person review the following circumstances as they have been presented to our court this evening,” Breyer wrote. The court acted in the case of Christopher Lee Price, who was scheduled to die by lethal injection for fatally stabbing a pastor during a 1991 robbery. Price had blamed the murder on an accomplice who later pleaded guilty and was sentenced to life in prison, according to the Times Free Press. The Supreme Court lifted the stay after Price’s execution warrant expired, which means that the execution will be delayed while the state seeks a new execution warrant, according to CNN. Price’s case was the second this month in which the Supreme Court considered an inmate’s request for an alternate execution method. 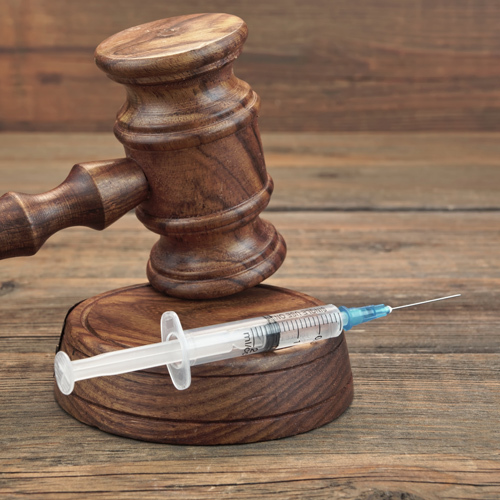 In an April 1 decision, the court ruled 5-4 against Missouri inmate Russell Bucklew, who had claimed that his rare medical condition would make execution by lethal injection a constitutional violation. He also had sought execution by nitrogen hypoxia. The majority decision in Bucklew’s case said the inmate’s lawyers had made only a “bare-bones proposal” for use of nitrogen hypoxia that failed to answer essential questions, including how and in what concentration the gas would be administered. Nor had he shown that it would be less painful than lethal injection, the court said. In Price’s case, nitrogen hypoxia already was being developed as an alternative execution method. Alabama had expressly authorized its use in 2018, and the state was “mere months away from finalizing its protocol,” Breyer wrote. The state law had given inmates 30 days to elect death by nitrogen hypoxia, which meant an election had to be made by June 30, 2018. But it appears no inmate was given an election form until June 26, Breyer said. “Thus, it is possible that Price was given no more than 72 hours to decide how he wanted to die,” Breyer wrote. Forty-eight other death-row inmates had elected nitrogen hypoxia, according to the majority. Price “waited until February 2019 to file this action and submitted additional evidence today, a few hours before his scheduled execution time,” the majority said. Price initially had introduced an academic study to support his contention that death by nitrogen hypoxia is less painful than lethal injection. The version of the study he introduced was a preliminary draft stamped “do not cite,” leading the 11th U.S. Circuit Court of Appeals at Atlanta to rule that Price was unlikely to prevail on his claim that nitrogen hypoxia would be less painful. It turns out there was a final version of the same report that “is identical in every relevant respect to the preliminary version,” Breyer wrote. Price’s lawyers submitted the new version, leading a federal district court to enter a 60-day execution stay Thursday. The 11th Circuit kept the stay in place because it wanted to examine whether the district court had jurisdiction to enter the new stay while an appeal was pending. Breyer said the lower courts should be allowed to consider the final version of the report.